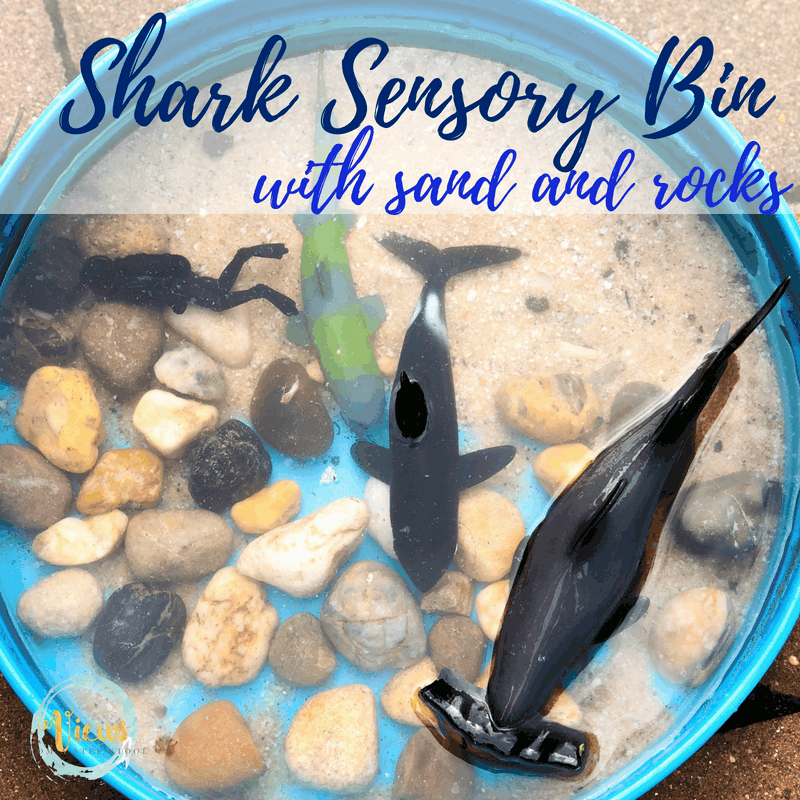 A simple shark sensory bin that uses rocks, sand and water to create a natural water play sensory bin with a shark theme for kids. 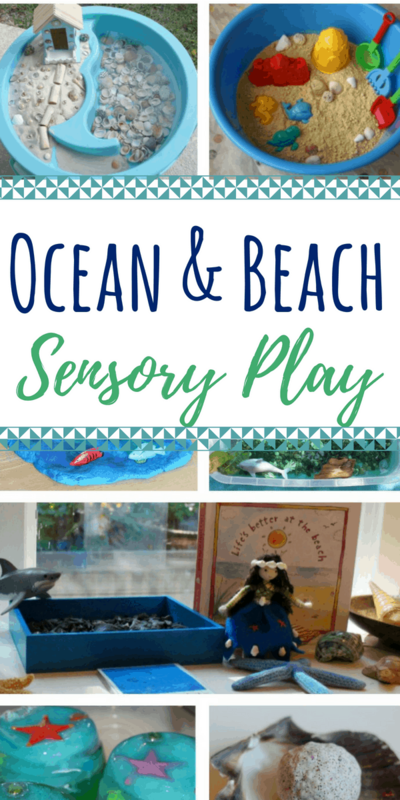 We love sensory play that we can take outside! 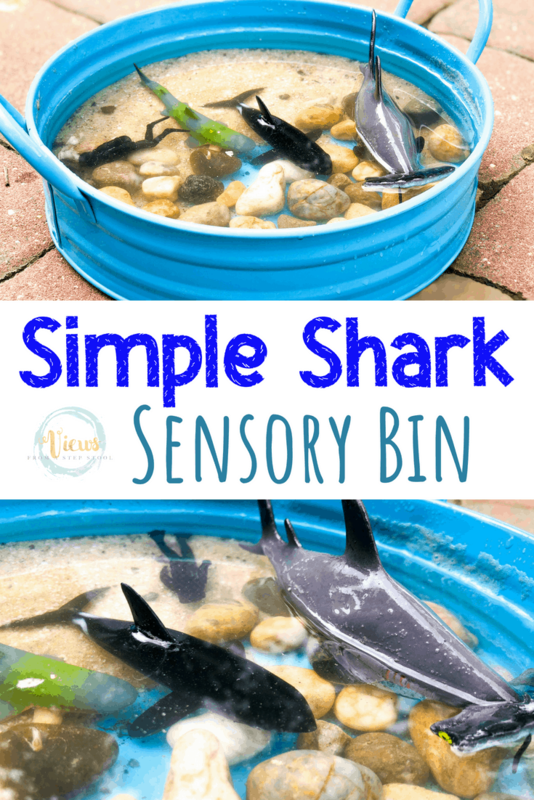 This shark sensory bin is super simple to set up and is perfect for playing with on the patio. 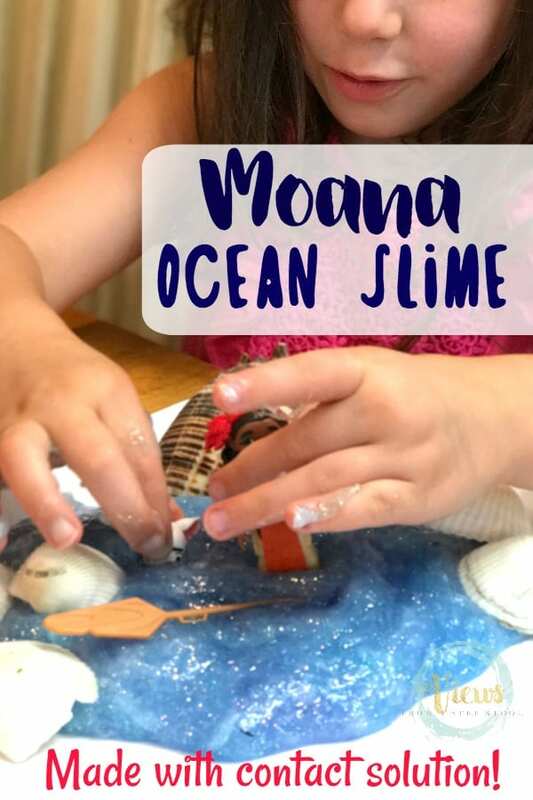 A fun spin on regular water play, kids of all ages will love this one. We love celebrating shark week, but also find sharks fascinating all year long. 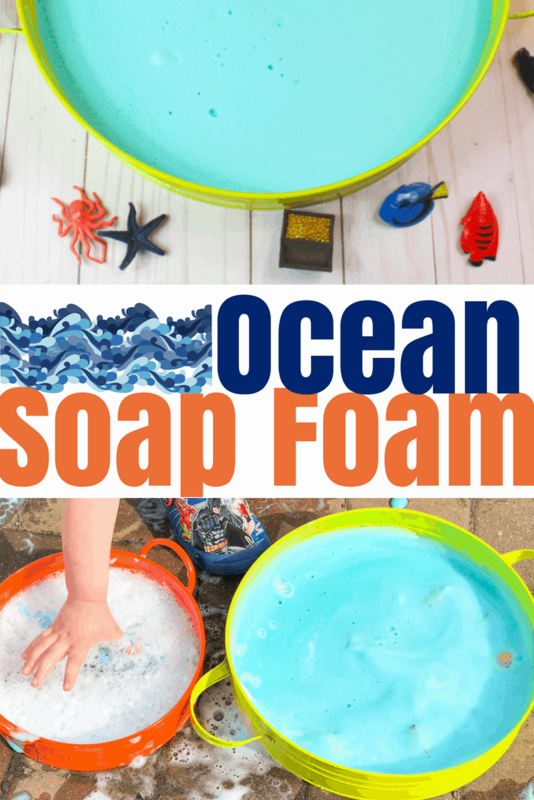 Combine this with sensory play and I have a win-win for all 3 of my kiddos. To the bin, add some rocks on one side and sand on the other. 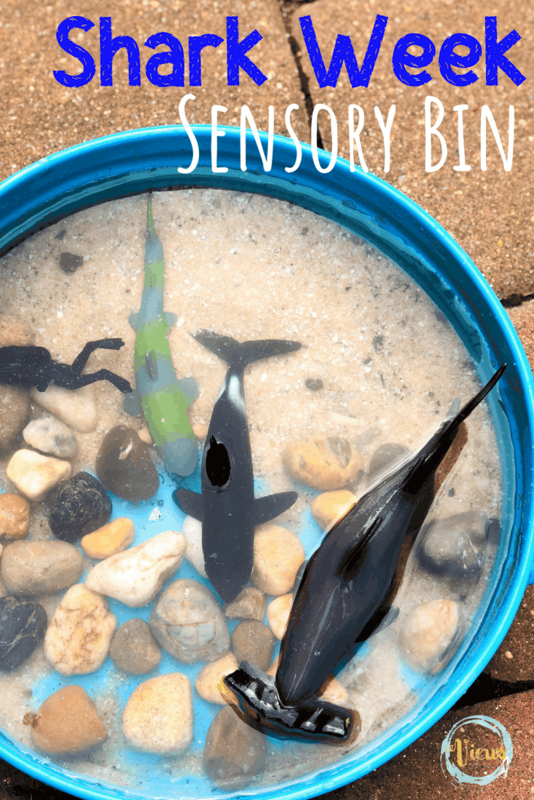 Tip: If you are getting the sand from the backyard, rise first in a fine mesh sieve, or the water in your sensory bin will be dirty and difficult to see through. Add some water to the rocks and sand, and add some toy sharks. The bin is complete! 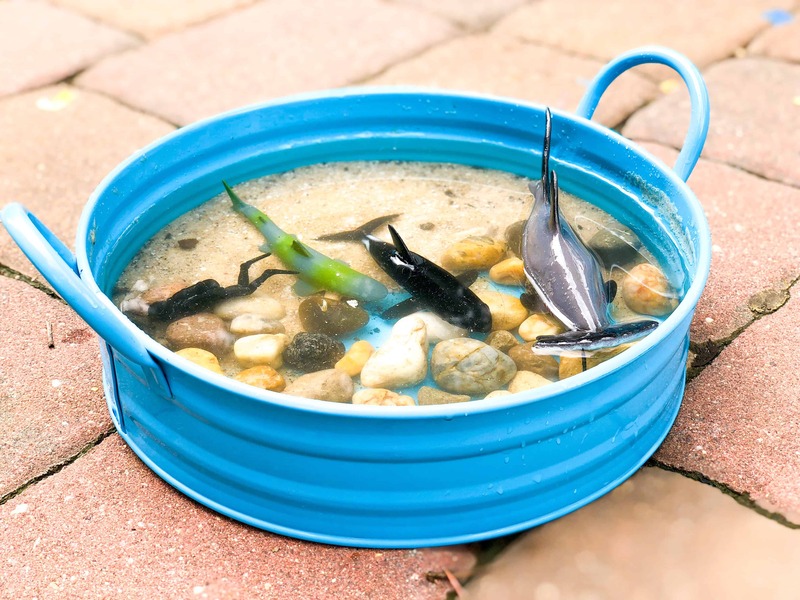 Add some fun tools like buckets or funnels for kids to play with in the bin. 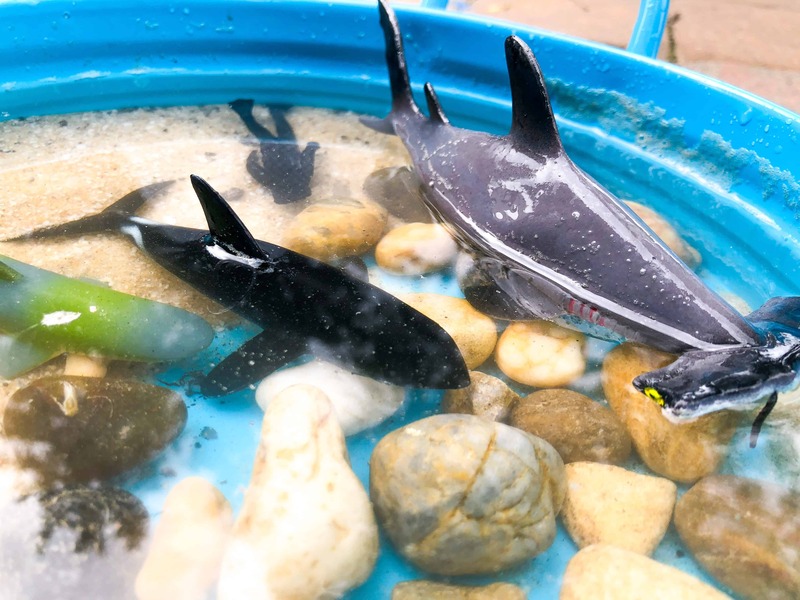 My kids like to use the pool net to transfer the sharks from buckets to the ocean bin. See this in action in the video below.